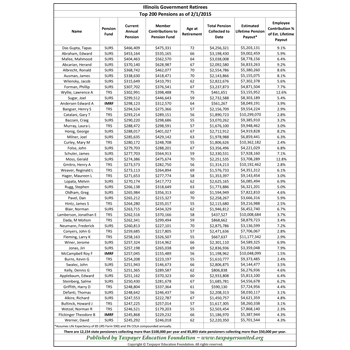 Taxpayer Education Foundation (TEF) was founded in 1976 as National Taxpayers United of Illinois (NTUI). Later, when it became obvious that events outside Illinois increasingly affected Illinois taxpayers, the organization evolved into TEF, and NTUI continued as its Illinois affiliate. In 2011, we decided to continue our pro-taxpayer activities primarily as Tapayer Education Foundation. Since 1976, we have saved Illinois taxpayers literally billions of dollars, and our influence and activities are now felt in other states and in Washington. In 1977 we started the Cook County property tax strike, which resulted in a $60 million property tax cut for Cook County homeowners. In 1989-90 we helped collect 513,000 signatures for the Tax Accountability Amendment, which would require a supermajority vote in Springfield to increase state taxes. In 1992, NTUI defeated the Berman Tax Increase Amendment, a state-wide referendum which would have forced a 50-percent hike in the state income tax. In 1996, NTUI spearheaded the fight against a proposed 25 percent increase in the state personal income tax, pushed by Chicago machine boss and House Speaker Michael Madigan (D-22). On May 30, 1997 the income tax increase, which had passed in Madigan’s House of Representatives, died in the State Senate Revenue Committee. NTUI President Jim Tobin was the only person to testify before the committee in opposition to the income tax increase. At the request of Rep. Kevin McCarthy (D-37, Orland Park), NTUI provided the crucial support needed to help sponsor and push through a $500 tuition tax credit in 1999. The tax credit enables more Illinois families to send their children to private primary and secondary schools by allowing them to keep more of their own money. In 2001, NTUI spearheaded the taxpayer campaign against two bills in the General Assembly that would have increased property taxes statewide by $2 billion. We also stopped a 25-percent state income tax hike and a bill to create a new local income tax for government schools. In April 2004, NTUI defeated Lt. Gov. Pat Quinn’s (D) plan to raise some Illinoisans” state income taxes 100 percent (and give a paltry $200 “property tax rebate” bribe for each homeowner) through a Constitutional Amendment. NTUI President Jim Tobin took on Quinn in a televised debate on “Chicago Tonight,” on WTTW Channel 11. We also defeated Quinn’s 100 percent income tax increase amendment in 2006 and 2008. HJRCA 42 was defeated in the state house by a whopping 19 votes on April 10, 2008. Since 1977, we’ve been involved in fighting 225 local property tax increase referenda. We defeated 190 of these proposed tax hikes – a success rate of 84%! In 2008 we defeated three income tax increases. We beat down HB750 and SB2288 which would increase the income tax 67 percent and we defeated the 100 percent income tax increase amendment, HJRCA42. In 2010 and 2011 we fought against Gov. Quinn’s plan to raise the state personal income tax a back-breaking 67 percent, and the state corporate income tax from 7.3 to 9.5 percent. To get his bill passed by the minimum number of votes needed, Quinn had to bribe State Rep. Careen Gordon (D), who had lost her bid for re-election. She approached Quinn about an $86,000-a-year job on the Illinois Prisoner Review Board. Quinn, who was struggling to put together enough votes to pass his state income tax increase, reportedly solicited her support for the increase while she was still in office. Gordon, who previously indicated she was against the tax increase, supplied Quinn with the Yes vote needed to reach the 60 votes required to pass the tax hike. Three days later, Quinn appointed her to the Prisoner Review Board! In 2006, TEF began publishing the top state and municipal government employee pensions throughout Illinois and since then has expanded government pension research to Wisconsin, Missouri and California. Taxpayer Education Foundation is now fighting tax increases and reckless spending in states surrounding Illinois, and is planning to assist taxpayers and local taxpayer groups nationwide. The Illinois Taxpayer Education Foundation (ITEF) is a non-profit, charitable 501 (c) (3) organization conducting research on facts, methods, and principles of taxation, government spending and public attitudes on these subjects. ITEF comments can be found in the “Foundation” category in the left-hand navigation. Tax Accountability is the Political Action arm of TEF. Tax Accountability sends out tax questionnaires to people running for office and endorses those who sign our Taxpayer Protection Pledge. There are federal, state and county versions. Become a champion of liberty. Donate to the Taxpayer Education Foundation today and help us increase the prosperity of our citizens and the economy.